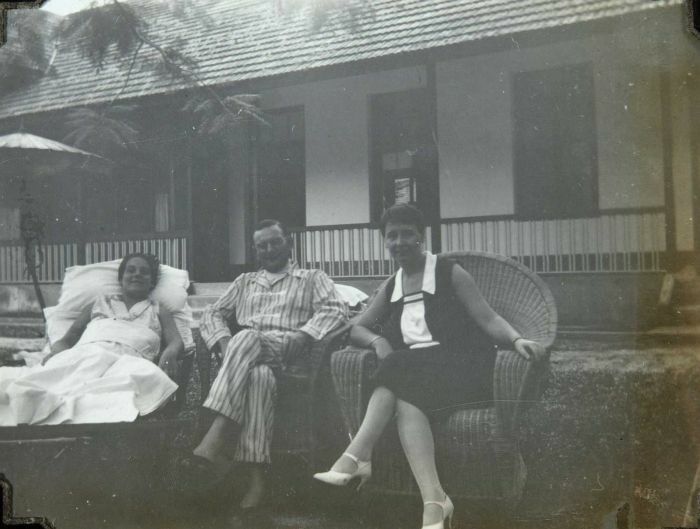 The central hospital of the Tandjong Rubber Company at Tandjong Kassau in the hospital Ressort Tebing Tinggi on the Eastcoast of Sumatra was founded before 1912 (E. van de Velde, Het Hospitaalwezen op Sumatra’s Oostkust, Het Ziekenhuis, nrs. 9, 10 and 11 (1918), nr. 27 of the legend of the central hospitals. See Catalogus Hygiene Tentoonstelling Bandoeng 1927. The picture was from the Tropenmuseum collection TMnr 60053820 and reads: Patients in the garden of a hospital, Tandjong Kassau. The patient is situated near the European ward in 1927.